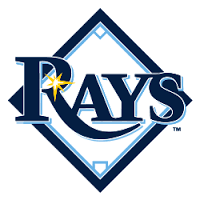 ** Navas was my 2016 “One to Watch” for the Rays. He completed his first full season at Bowling Green, posting pedestrian numbers, but in line with his perpherials over 4 seasons as a pro. Late Season Trade Impact: Tampa Bay parted ways with long-time 3B Evan Longoria. Pieces included in the haul from the Giants was an up & coming infielder in Christian Arroyo and a 22-year old right-hander Stephen Woods (15). Woods would have ranked at #2 UTR-OAS with the Giants. He completed his first full season with LoA Augusta where he stymied lefty hitters (.211) and kept the ball in the yard ( 3 HR in 110 IP).